Romania is situated in the southeastern part of Central Europe and shares borders with Hungary, Serbia, Bulgaria, Ukraine, Republic of Moldova and the Black Sea. Romania's territory features splendid mountains, beautiful rolling hills, fertile plains and numerous rivers and lakes. The Carpathian Mountains traverse the country, bordered on both sides by foothills and finally the great plains of the outer rim. Forests cover over one quarter of the country and the fauna is one of the richest in Europe including bears, lynx, chamois and wolves. The legendary Danube River ends its eight-country journey at the Black Sea, after forming one of the largest and most biodiverse wetlands in the world, the UNESCO Biosphere Reserve Danube Delta. Natural and Cultural are the words that best capture the essence of Romania, a dynamic country rich in history, art and scenic beauty. Visitors can experience an impressive number of attractions ranging from the Danube River and its Delta to beautiful, intact medieval towns in Transylvania, like the Sighisoara citadel; from the vibrant capital Bucharest to the Black Sea resorts; from breathtaking Carpathian Mountains to the world’s famous painted monasteries in Bucovina or to a centuries-old village in Maramures. Air pollution and water pollution caused by industry are serious environmental problems in Romania. The country’s factories, chemical plants, and electric power plants depend heavily on burning fossil fuels, emitting high levels of carbon dioxide and sulphur dioxide - a key component of acid rain. Bucharest, the capital city, also faces serious air pollution, to which the increasing traffic is a big contributor. Much of the nation’s industrial runoff ends up in the rivers and eventually in the Danube river system, making water unsafe for drinking and threatening the diverse ecosystems of the Danube Delta. Part of the inland waters which could sustain a rich biological diversity are polluted, and the Danube brings from the countries located upstream a pollution level with negative impact upon the river's biological diversity, as well as on the Danube Delta and the Black Sea. The high nutrient load of the Danube River has caused eutrophication in the Danube Delta lakes. Poor farming practices have led to severe soil degradation and erosion. Damage to the nation's soils from erosion and pollution has decreased agricultural production by 50% in some areas. In the 1980s large tracts of marshland lining the Danube were drained and converted to cropland to aid food production. The irrigation of agricultural land has also brought about increased salinization on large areas, while overgrazing has contributed to a decrease in soil quality. Romania has already started investing in clean energy, such as solar, wind and hydro energy sources. Also, several projects on using geothermal energy have already been implemented in the country. Romania is rich in biodiversity, particularly in the broad Danube delta, the largest delta in Europe, which is reserve of water plants, wetland ecosystem and swamp haven for both flora and fauna. Moreover, Romania has one of the largest undisturbed forest area in the world (13% of the country). However, the country has undergone a progressive loss of biodiversity as a result of human activity. Pollution, the alteration of river courses and hydrotechnical works, mineral resource extraction and the overexploitation of biological resources have been the main factors involved. The draining of wetlands was promoted by the previous regime in order to ensure increased areas of arable land for agriculture. This practice led to the loss of floodplains, particularly along the Danube river. 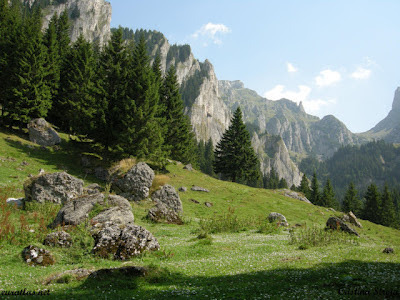 As of 2001, 4.6% of Romania's total land area is protected. Sixteen of Romania's mammal species, 11 of its bird species, and 34 plant types are endangered. The Romanian bullhead perch, Atlantic sturgeon, slender-billed curlew, and Mediterranean monk seals are among those listed as endangered. Romania suffers great consequences of climate change in a form of tornadoes, floods and desertification. The country has had records of occasional tornadoes since late 19th century but in the last few years number of tornado-force winds beat all the previous records. Floods in Romania also became frequent and abundant, taking many lives, affecting over 1500 settlements, and causing thousands evacuations. Yet another serious effect of changes in a global climate regime is drought that has been predicted to turn Romanian region Dobrogea into a desert, within the next 100 years. The major structural weaknesses of the Romanian civil society remain low levels of citizen participation in associational life, together with a poor level of organization and limited inter-relations among civil society organizations, which represent obstacles for the development of a strong civil society sector. Despite many attempts by CSOs to mobilize citizens around issues of public concern at both local and national level, the response from the population has remained modest. In Romania, like in other countries from Eastern Europe, volunteerism has been perceived as associated with Communism and, as a result, it has remained weak. There is still widespread memory of the communist era’s “forced volunteering” which keeps people away from engaging in volunteer activities. However, over the last years there has been growing interest in volunteering, especially among young people, particularly among students, who regard it as an opportunity to get professional experience, to connect with other people or to use it as a stepping stone for a permanent job. A number of Romanian civil society activities in the area of environmental sustainability can be detected. Broad-based support and public visibility of such initiatives, however, are still in an early stage. Although serious pollution and sustainable development problems exist, environmental issues have a moderate salience the on the Romanian public agenda. The new social media opportunities, however, have led to a broader and quicker dissemination of environmental concerns among the general public, making it easier for them to get involved (e.g. signing an online petition). According to OECD there are about 23 environmental taxes in Romania, among which 8 regard fuel, vehicles and planes, 2 regard air pollution, 4 regard water, 4 regard waste, while the remaining five refer to use of resources, nature protection and noise. There are also 2 environmental schemes with the purpose of waste minimisation, rational use of raw materials and resource conservation. Environmental tax revenue, at 1.9 % of GDP in 2009, lies well below the EU-27 average (2.6 %); in fact, this value is the second lowest in the EU. Most of this revenue is realized from energy, none from pollution and only 0.3% from transport (excluding fuel). However, the excise duty rates have been increased in 2010. A positive trend that has been seen at the level of the business sector in the last years is a growing interest in CSR, especially at the level of larger or international companies. Major companies are beginning to take the potential negative social and environmental impacts of their operations into account. Some companies have a particular interest in the field of environmental protection and try to build their corporate social responsibility identity mainly on this dimension. Corporate Social Responsibility is a relatively new, yet expanding concept in Romania. In spite of visible progress and of successful examples, much remains to be done. Small Romanian companies, albeit involved in charity actions, remain largely ignorant of the concept of CSR. Moreover, statistics revealed that only 5% of all companies in Romania have an annual budget for making donations. A quarter of them try to establish a strategy for donations and 70% take such decisions on ad-hoc and arbitrary basis. Multinational companies were the first to set an example with regard to corporate philanthropy and CSR, and are considered to have started corporate philanthropy and CSR initiatives in Romania in the mid 1990s. As the lack of visibility for CSR initiatives was considered to negatively influence public perception and to discourage others potentially interested in getting involved in corporate philanthropy programs, some of the non-governmental, international and corporate players have become involved in promoting CSR among businesses in Romania.